"Spectral Adjustment" is an adjustment to effective irradiance based on the precipitable water in the atmosphere. When activated, it is applied to CdTe modules simulated with weather sources that contain data related to precipitable water or humidity. 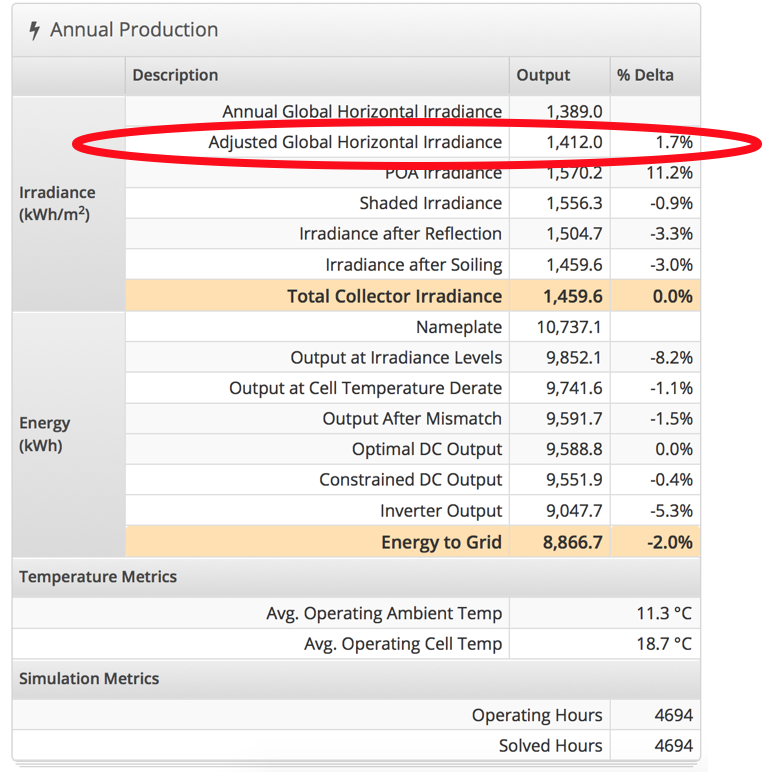 Spectral Adjustment is calculated on an hourly basis, the impact of which is reported as "Adjusted Global Horizontal Irradiance" in the Report (between GHI and POA in the Annual Production table), as well as in the CSV hourly export. 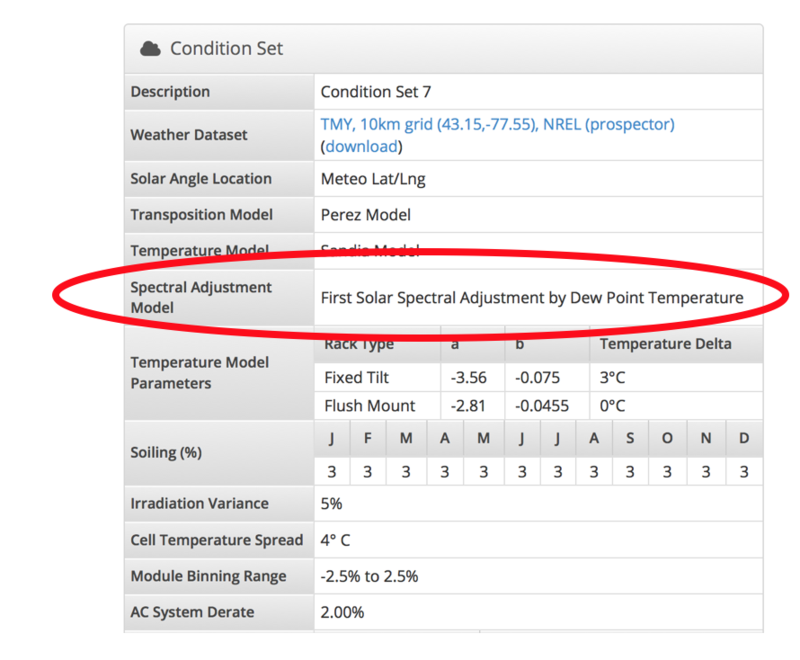 The Report indicates which Spectral Adjustment model was used in the Condition Set Summary, in the "Spectral Adjustment Model" field. This adjustment will tend to increase the effective irradiance in areas with greater precipitable water, and reduce the effective irradiance in areas with lower precipitable water. For further information, see additional documentation here and here.